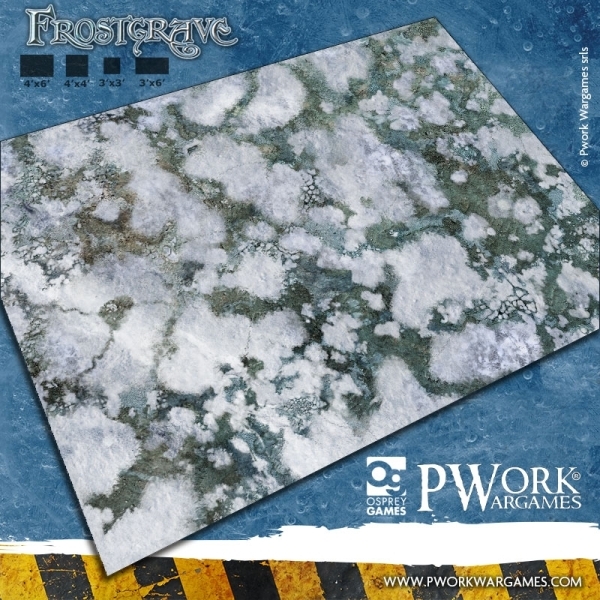 Pwork Wargames and Osprey Games present the official Frostgrave gaming mat: Frostgrave! The fantasy skirmish wargame of epic wizard battles now has a battlefield of election: the OFFICIAL FROSTGRAVE gaming mat! Play your battles on the remains of a small town, now in ruins and partly covered by a blanket of white snow, among collapsed snow-covered buildings and and on a cobblestone pavement cracked from cold and ice. The mat is a perfect fantasy setting for battles among the ruins of the ancient abandoned Frozen City! Cobblestone: Fantasy Gaming Mat from Pwork Wargames!